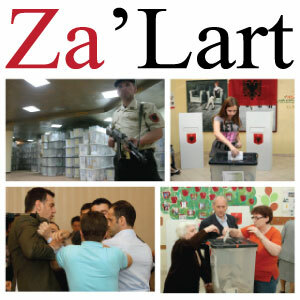 In the recent local government elections, Albanian Institute of Science successfully implemented the project Za'Lart-"Make Election Count". Za'Lart empowered citizens with Web and mobile tools to easily participate in a real time monitoring process. In the period May - June 2015, Za'Lart helped to identify various cases reported by citizens regarding abuse of administration and public sector, tensions and election irregularities, and vote buying attempts in exchange for money or services. Compared to the 2013 election monitoring, the citizens reported this year five times more cases with problems of election lists and voting right violations. For the first time, the platform Za'Lart was institutionalized as part of core Parliamentary discussions, and praised for its innovation and objective coverage of the election campaign. The broad impact of citizen`s reports, in photo and video format, has enabled the media and civil society actors to access first-hand information. In a public appearance a week before the Election Day, the head of European Delegation to Albania, Ms. Romana Vlahutin, urges citizens to defend their vote by publicly condemning any phenomena of Vote Right Violation. She invited citizens to denounce any form of pressure or attempt to undermine the election process at Za'Lart.al platform. Ms. Vlahutin stressed the importance of civil society in the assessment and monitoring of local elections as a key factor in the achievement of political stability and integration processes of the country. Albanian Institute of Science participated in the Electoral Situation Room 2015, an initiative of the Albanian civil society consisting of a coalition with seven organizations, which functioned as a platform to exchange information between all actors working for the election process. Through citizens' reports made at Za'Lart, AIS contributed to the initiative not only by keeping the elections free and fair, but also by proposing key recommendations for monitoring and improving the election process. 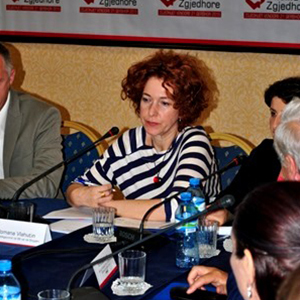 The Albanian media has referred to Za'Lart platform not only as a partner in information, but also as a reliable source of data on the electoral performance obtained directly from the public.